The Point of Aventura Atlantic III Condominium and Condos. 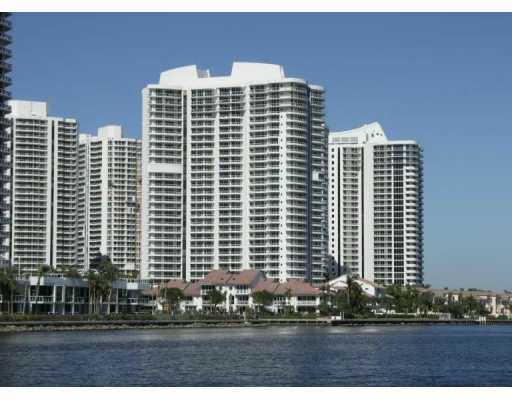 The Point of Aventura Atlantic III Condos for sale. Built at The Point of Aventura in 2000, each of the 2, 3 and 4-bedroom residences of the Atlantic III condominium offers all the essentials and comforts that make high-end luxury real estate such a pleasure to own. Living areas feature sweeping floor to ceiling sliding glass doors as well as the glass-paneled balcony railing to provide pristine views from all windows. In the kitchen residents will find granite countertops, recessed task lighting, and state-of-the-art appliances. At the center of The Point of Aventura community is the 25,000 square foot Residents Club & Spa. The expansive clubhouse features Mediterranean architecture, and is open only to Atlantic condominium and The Point residents. The facilities include: The Point Place Café; a fully equipped cardio, weight training, and aerobics facility; his and hers spa and treatment facilities; billiard, garden, and media rooms; and a private nail care studio.